The attempt at inculturation of the Catholic Church in India has given birth to Catholic ashrams. The essence and raison d'etre of a traditional ashram is the figure of the guru. 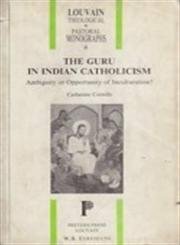 "The Guru in Indian Catholicism" is a reflection on the implications, problems and possibilities of introducing the Hindu notion of the guru into the Catholic tradition. Cornille, a frequent visitor of the East, where she has studied and lectured, presently teaches courses in the Comparative Study of Religions at the Catholic University of Leuven, Belgium. Her current research focusses mainly on the new religious phenomena emerging from the encounter of religions and cultures.